The credit for CERN is in reference to the European Laboratory for Particle Physics. Dopplereffekt reappears, this time on Rephlex, for CALABI YAU SPACE, another dark exploration of electronics. The angular intro of "Calabi Yau Manifold" gives the listener a taste of the textures to come, as "Hyperelliptic Surfaces" mixes a theramin with long granular sweeps before the electro synths move in. "Holomorpic N-0 Form" is pure industrial sound sculpture, while "Compactification" twinkles for a moment like a dying star as it disappears. "Non Vanishing Harmonic Spinor" wanders through the clouds like a alien ship searching for a way back home, whereas "Hypersurface" sounds like it's trying to claw its way out of a haunted house. "Dimension 11" closes out the album on a wobbly exploration of the outer reaches of the sonic dimension, but it's a worthwhile journey all the way through. Another masterpiece by the nebulous Drexciya legacy. Breaking with all conventional musical rules this records continues the journey into unexplored terrain much like other recent material in other disguises (Der Zyklus, Arpanet). IMHO the artist(s) behind it have discovered sound sculpturing with Absynth. That's what makes it organic and machinesque at the same time all while sounding confusing to the uncommitted listener. The fascination and confusion arising with recent discoveries in modern physics is very much audible here. If you don't understand what the track titles mean you probably won't understand the music as well. Honestly, I really don't know what happened here. Considering the fact that I really loved their previous album, Linear Accelerator, in all of it's rough glory, I was surprised to find that this album did absolutely nothing for me, nor did it carry any of the creepy interplay between analog sonics and deep FM tones that were present on Linear Accelerator. Basically, all of the elements on Calabi Yau Space are the same you will find on their previous release, but much weaker. The mood sounds forced and the synthwork sounds far too light, like it's an imitation of it's own self without any active sincerity. 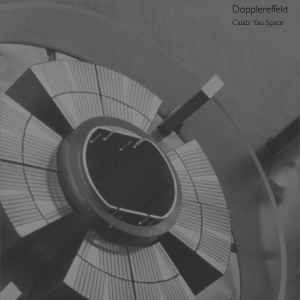 There's no doubt in my mind that Dopplereffekt is an impressive group. But like the mood shift from their first release to their second, I think maybe Gerald Donald (and company) should have taken another stylistic leap for their third, instead of retreading ground that was already done to near perfection. thewintman, kid4today, moseslawson, nik, mayday, schtel, volumetric, Silver12, pistolpete.